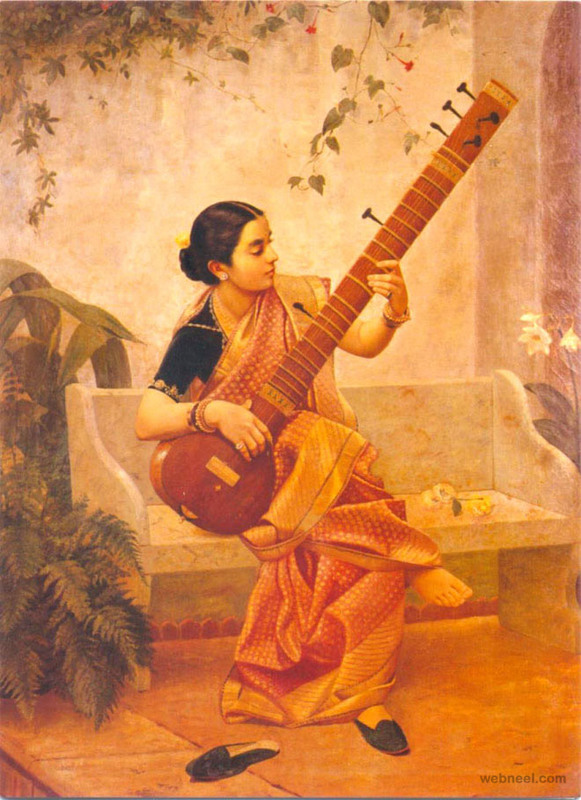 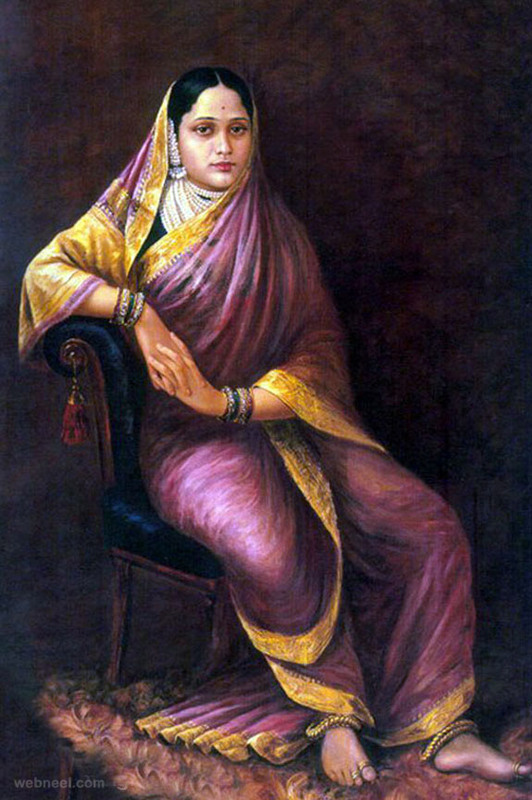 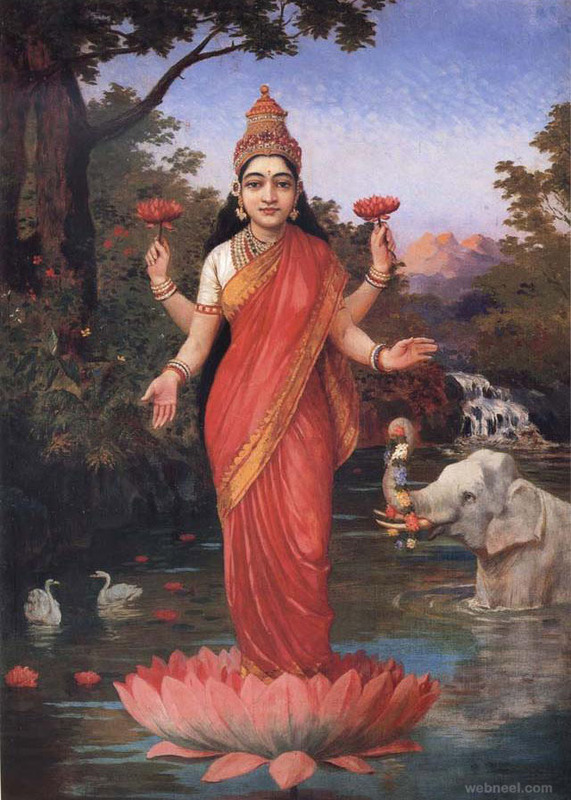 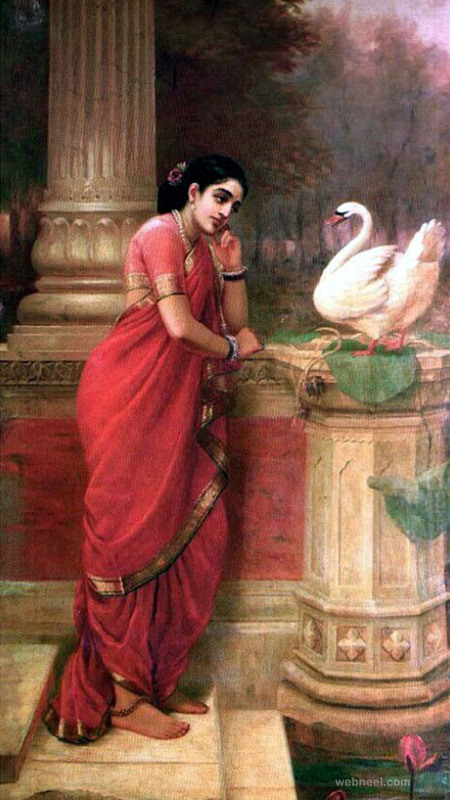 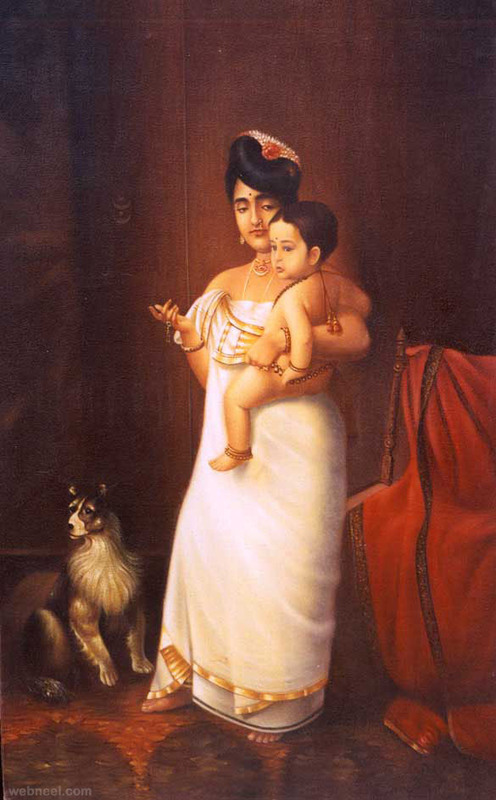 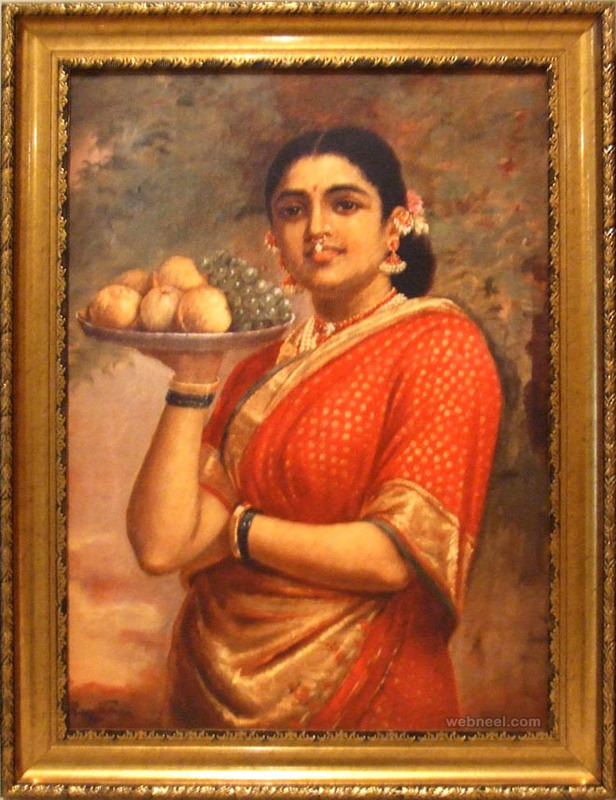 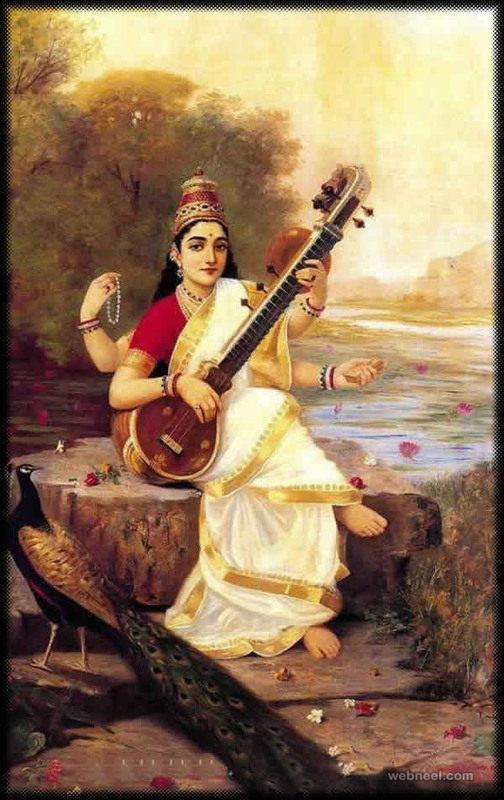 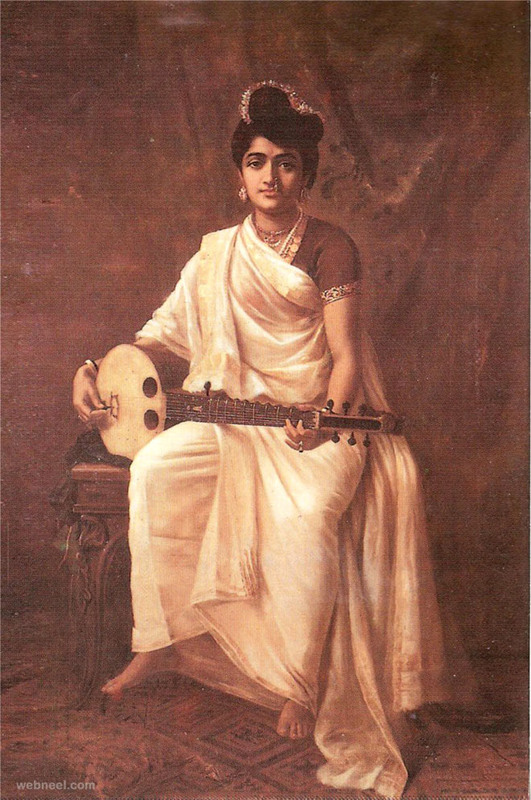 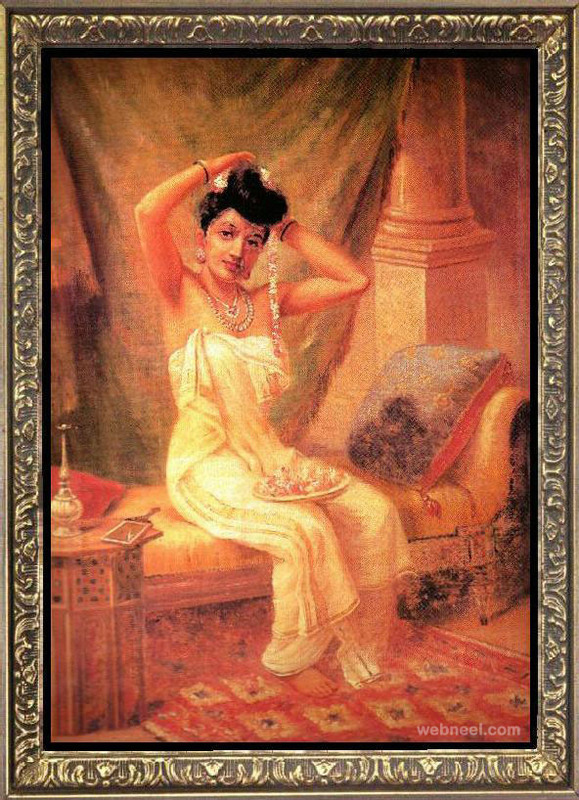 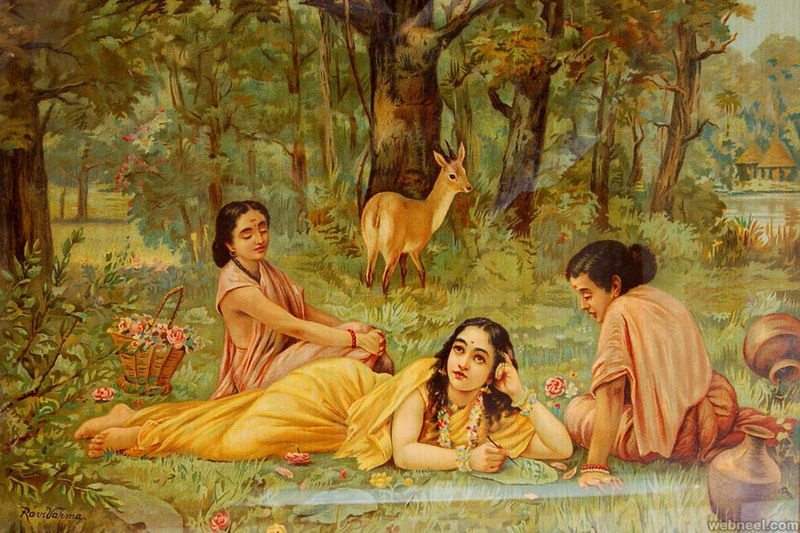 Raja Ravi Varma Paintings: Raja Ravi Varma was an Indian artist from Kerala. 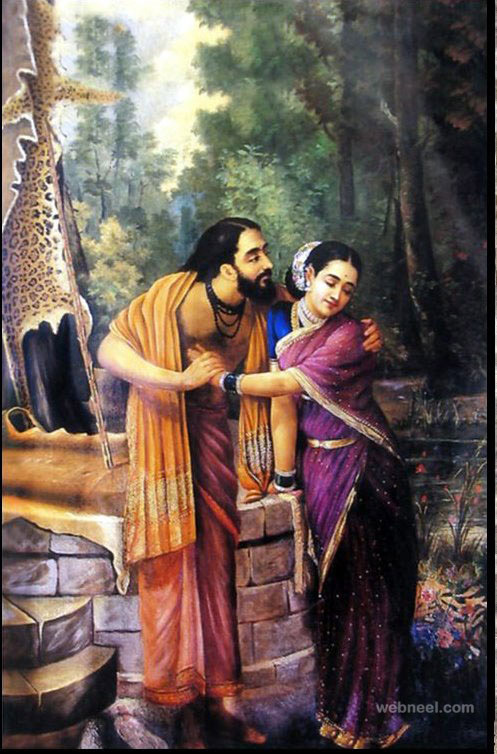 He was quite popular for his portrayal of scenes from the epic sagas of the Mahabharata and Ramayana. 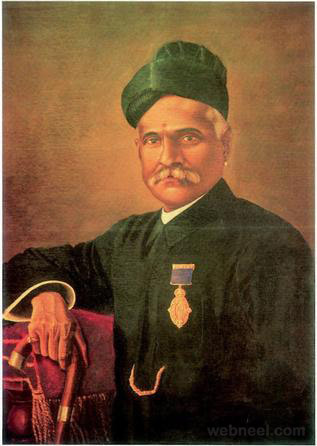 He was born in the year 1848 at Killimanoor and lived on till 1906. 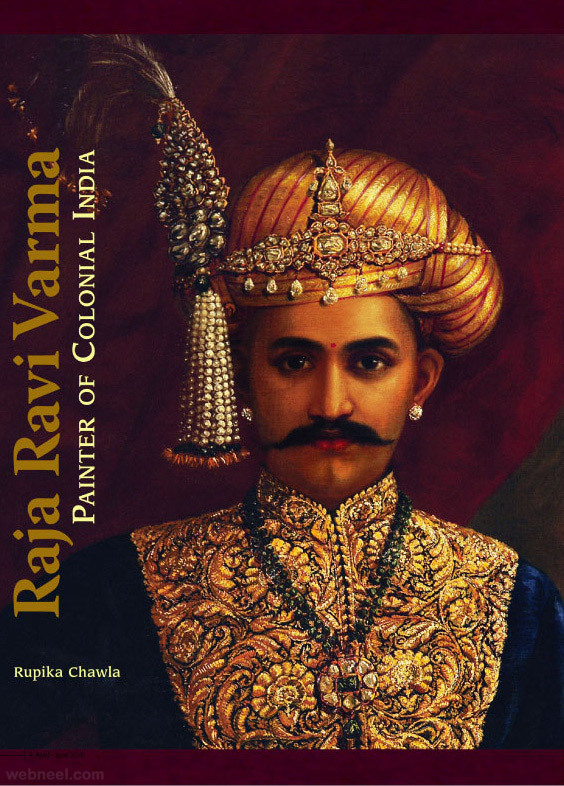 He is considered as one of the greatest painters from the Indian soil. 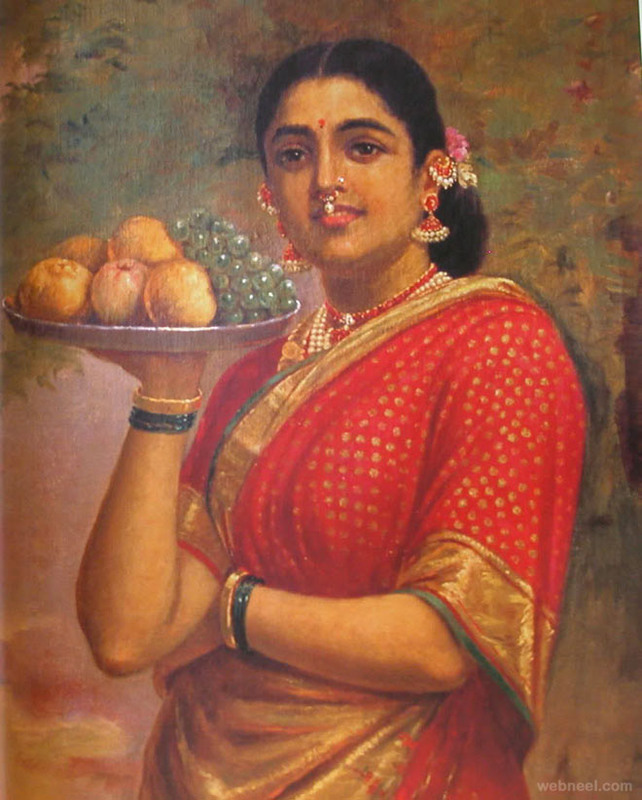 Ravi varman paintings are considered to be a fusion of indian traditions and european techniques. 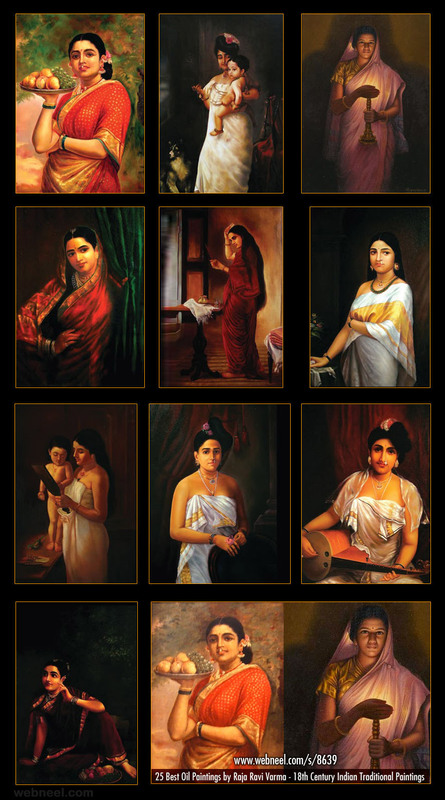 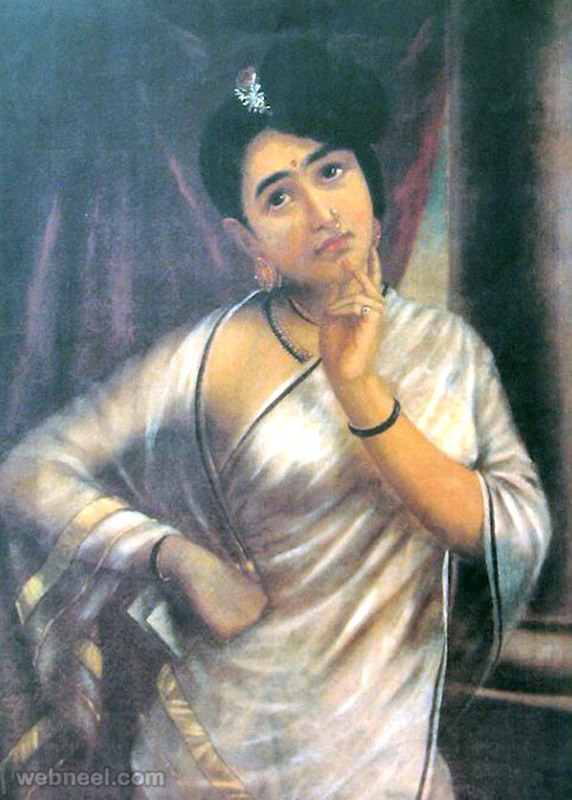 His representation of a saree clad woman in his oil paintings, shows the lives of a middle class woman and to this date they are cosidered to be graceful. 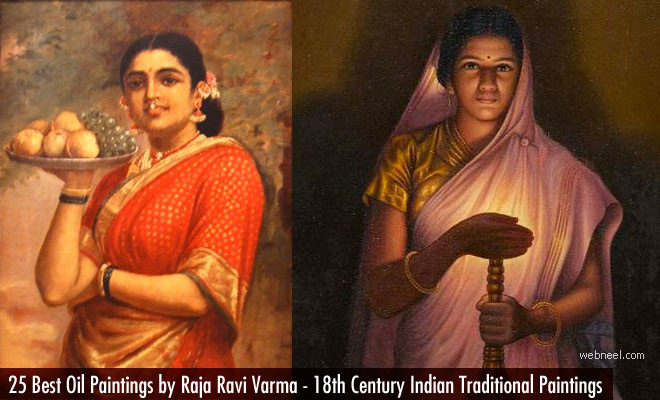 In this post we have a beautiful collection of indian paintings by Raja Ravi Varma for your inspiration. 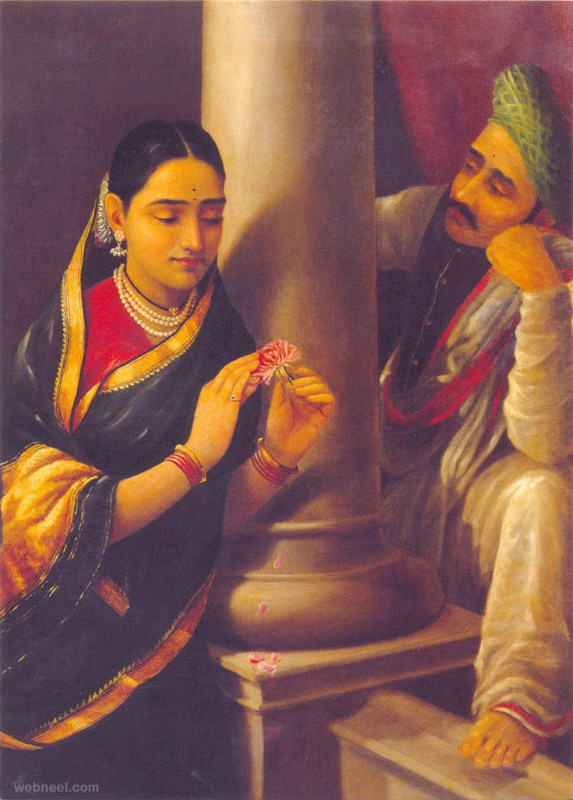 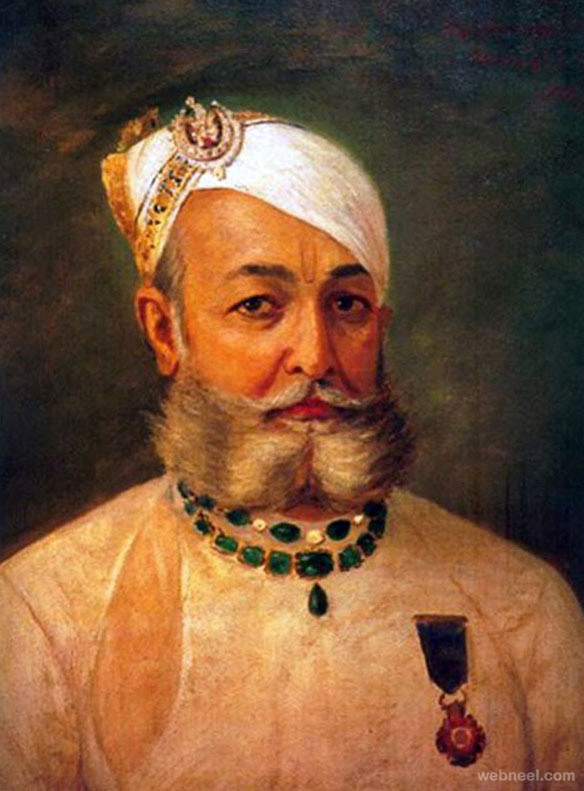 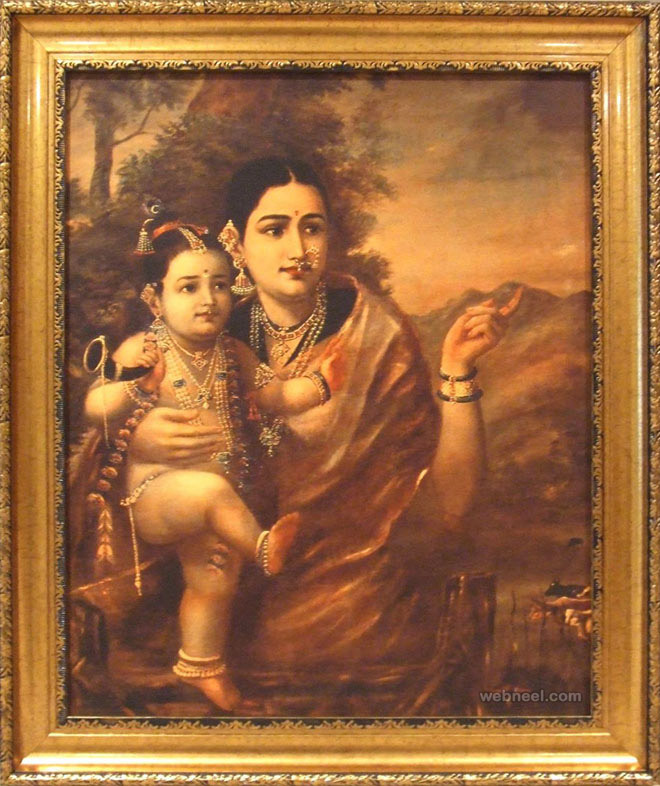 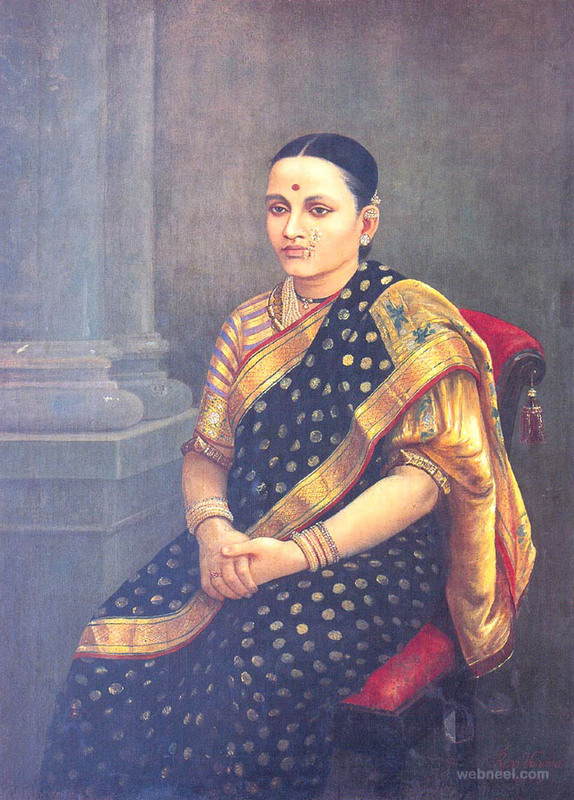 Many of Raja Ravi Varma paintings are displayed in the Laxmi Vilas Palace at Vadodara. 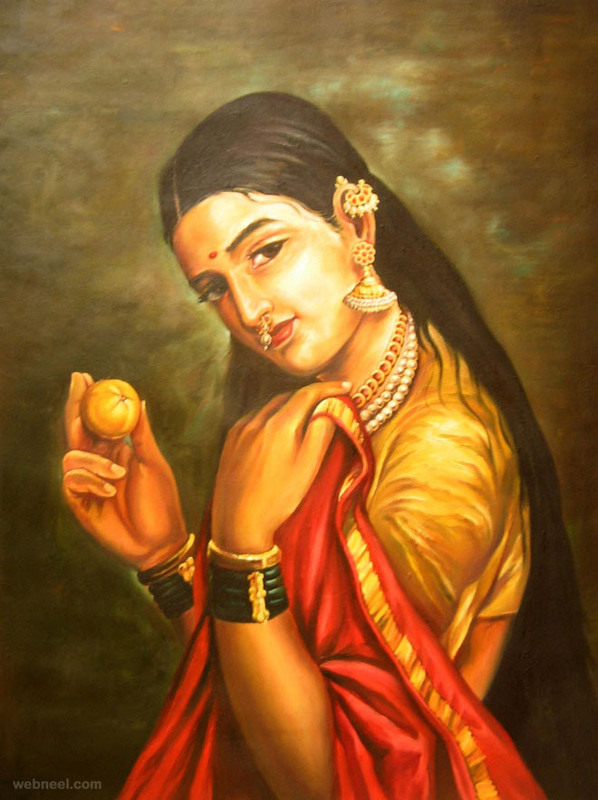 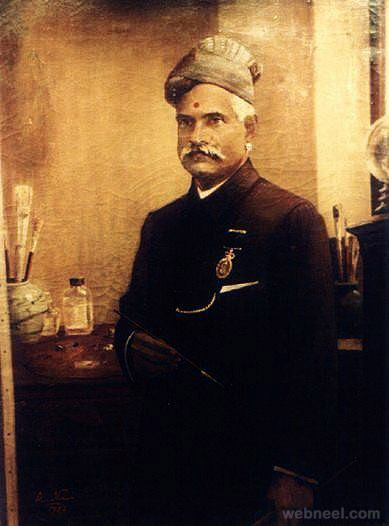 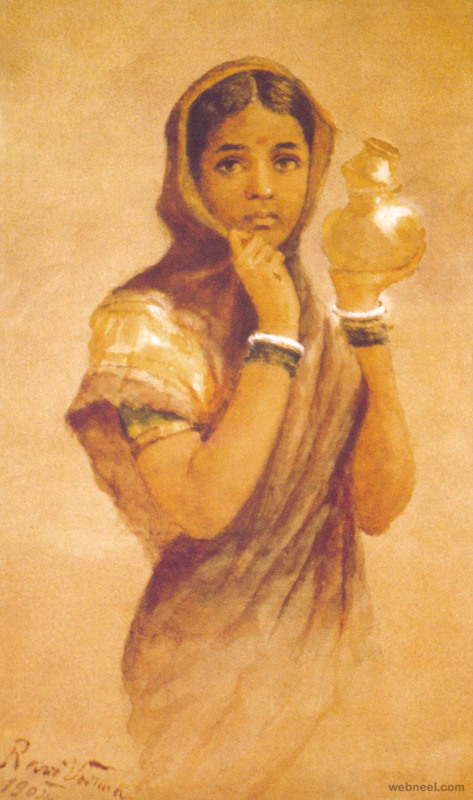 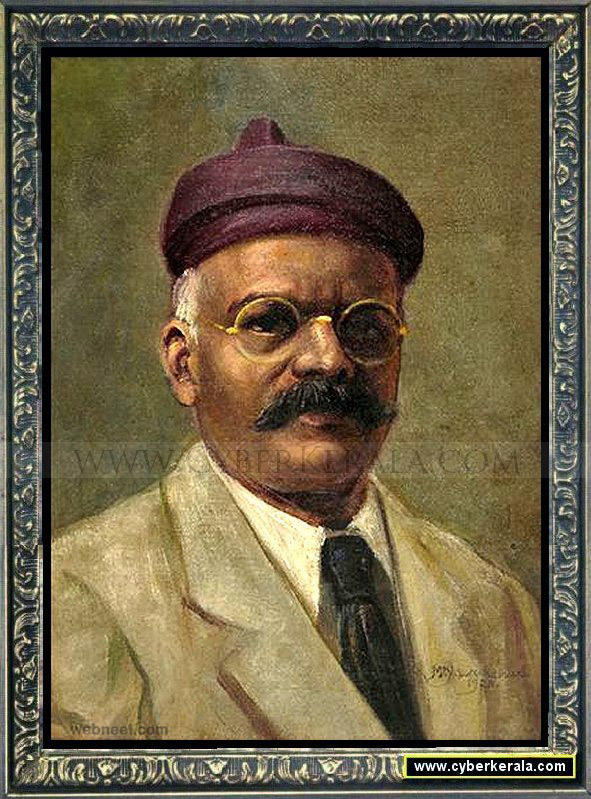 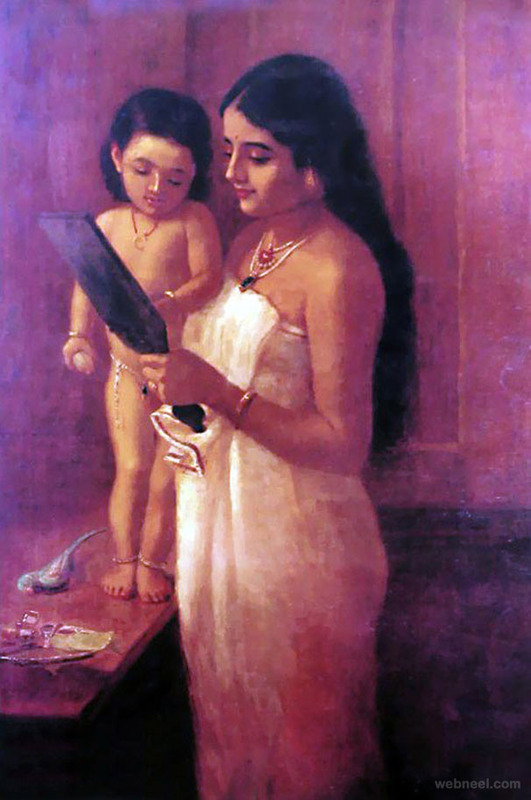 Did you know that one of the craters in the moon is named after this popular Indian artist Raja Ravi Varma? 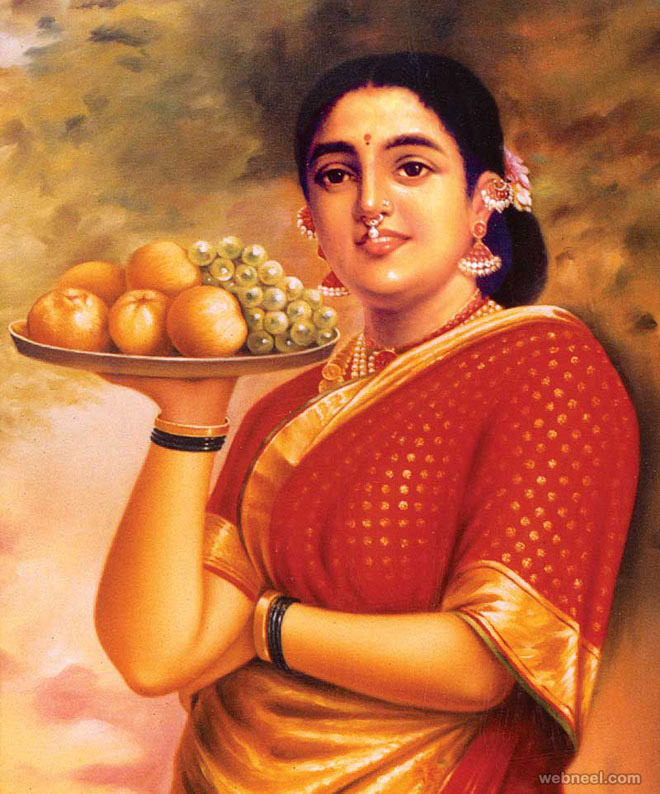 As an act of honor, the Kerala government awards people who excel in the field of art and culture with the "Raja Ravi Varma Puraskaram".